By now you know our physical therapists are capable of treating a variety of conditions ranging from neck and back pain to carpal tunnel syndrome and Achilles tendinitis. But did you know that ProActive Physical Therapy Specialists’ expertly trained therapists are skilled at injury prevention and capable of spotting a number of potentially risky symptoms? Low Back Pain: At any given time, 31 million Americans are experiencing low back pain. It’s the single leading cause of disability worldwide and one of the most common reasons for missed work. A routine physical therapy exam can detect whether or not you are at risk for suffering an injury and developing low back pain. Total Joint Replacement: Hip and knee replacements are the most commonly performed joint replacements, but replacement surgery can be performed on other joints including the ankle, wrist, shoulder, and elbow. A routine physical therapy exam can identify the early risk factors for developing arthritis in these joints, the primary cause for joint replacement. Hypertension: Uncontrolled hypertension, or high blood pressure, can lead to stroke, blood clots, and vascular cognitive impairment. A cardiovascular screening can detect risk factors for hypertension, which allows your therapist to prescribe and implement a safe exercise plan to help minimize your risk. Headaches: Headaches are one of the most common reasons that patients see their primary care physicians. A routine physical therapy exam can identify and disarm a number of risk factors or disorders, including TMJ Disorder, that lead to debilitating headaches. Rotator Cuff Tear: The muscles and tendons in the rotator cuff can become damaged by chronic overuse, injury, or gradual degeneration associated with aging. More than 3 million people in the United States suffer from torn rotator cuffs each year. A routine physical therapy exam can determine your risk for developing a tear and work to strengthen those muscles and tendons before it occurs. Fall Risk: One in five falls causes a serious injury, like a broken bone or head injury. 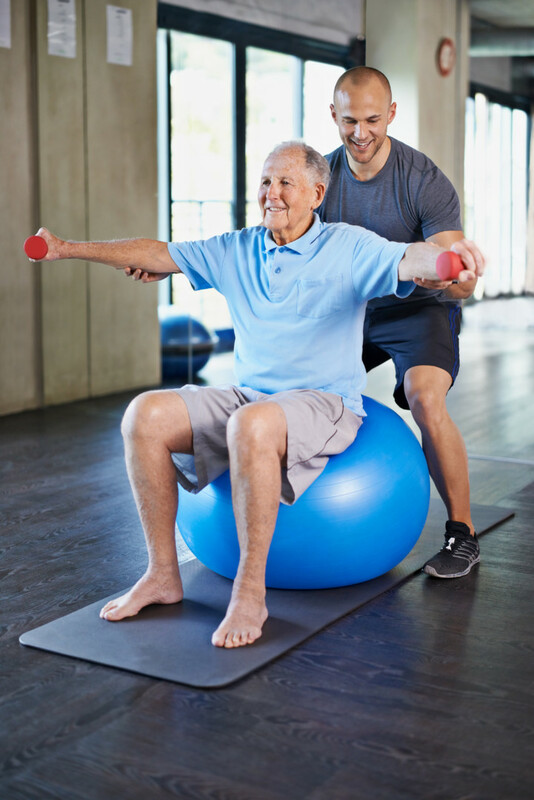 A simple, routine exam can help your PT design a strengthening and balance program to prevent you or an elderly loved one from suffering a life-threatening injury. ACL Injury: Nearly 300,000 ACL injuries occur per year, and females are 4 to 8 times more likely to suffer from a torn ACL than males. 70 percent of ACL injuries in athletes happen through mechanisms such as pivoting, cutting, sidestepping, out of control play or awkward landings. The other 30 percent are a result of contact with other players. A routine physical therapy exam can both detect and help you mitigate the risk of suffering a devastating knee injury. Peripheral Neuropathy: Physical therapists can test the sensation in your feet to determine the potential for peripheral neuropathy, which can lead to physical abnormalities like clawtoe and bunions. It pays to be proactive, especially where your health is concerned. At ProActive Physical Therapy Specialists, we not only get our patients better quickly and effectively, but also take steps to ensure that any future injuries are avoided. Schedule an injury prevention consultation today.